Tracking news related to Supernatural's Season 8. Series renewals are traditionally announced at the end of Network Upfronts in mid-May, following the end of the season. However it is not unusual for shows to be given an earlier pickup. Season 6 was picked up early in the year on February 18, 2010, while season 7 was confirmed on April 26, 2011. Season 8 was confirmed on May 3, 2012. 3 January: TVLine rates Supernatural as a 'safe bet' for renewal. ...Singer tells us that there is a cliffhanger ending planned for this season, whether or not the CW gives the show an early pickup for season 8. "We like to be optimistic about the pickup," he says, "So we're going to write another cliffhanger ending, I think, and then just see what happens." While both Padalecki and Jensen Ackles are contracted through season eight, the CW has yet to make a decision about the fate of Supernatural... or anything other show for that matter. "We are considering everything for next year. We have made no determinations on any of our shows," CW Boss Mark Pedowitz tells us. "I'm very happy with how Supernatural has done this year, in terms of ratings and production." He also says if they have more "juice" in them, he could see it going on for "many, many years." Our guess? It's coming back. 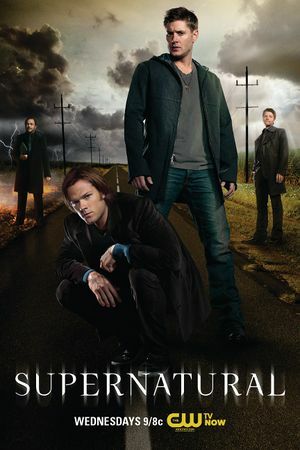 Promotional poster for season eight. "Yes. Gen and I are both hoping for season 8, actually. With as many hours as we work, and as much as I travel back and forth, it's a crazy life, but on the flip side, we've built a family in Vancouver. Our crew, our cast -- we're close to everyone. We know what to expect. When I told them that Gen was pregnant and due in March, they were immediately like 'Okay, we're going to get you some time off.' I didn't even have to ask. You can't do that if you're doing some big movie with Tom Cruise. They'd be like 'Who do you think you are? F*** you.' We all really care about each other, from the writers, to the actors, to the fans." 20 January: Quote from Sera on the shows future in Entertainment Weekly. Note this comment was later "restated" in an article in Digital Spy saying that Sera had said the show's future was unclear. 22 January: TV by the Numbers: lists every CW show except The Vampire Diaries as 'on the bubble,' although it says it will probably upgrade Supernatural to a likely renewal. 24 January: Michael Ausiello is optimistic about the Show's future. Question: Doing a little Renewal Scorecard freak-out after Sera Gamble recently called Supernatural‘s future uncertain. Do you still think it’s a safe bet for renewal? Ausiello: Yes. In fact, I’m this close to upgrading it to A Sure Thing. 3 February: Jared comments to TVLine about his thoughts on an eighth season. "I’m excited about it. I know I have a kid on the way in March, and that’s pretty intense and exciting and scary and every emotion you could imagine. But I’m excited about season 8. I feel like there are more stories to tell. I feel like we haven’t wrapped everything up. season 8 could be a great season. Even if we have to wrap things up in season 8, I feel like it would be a nice last hurrah." "We are certainly up to go for longer if the writers and the powers to be pick us up. We certainly are excited about the show and we think it has a lot of potential and we think it’s getting better and better to keep telling the story that we signed on to tell. If it ends this year, so be it. If it goes another year, great! And if we have stories to tell, even after this year or next, then we will certainly go back to the drawing board and see how we go about it then. We will do it as long as they will write it." 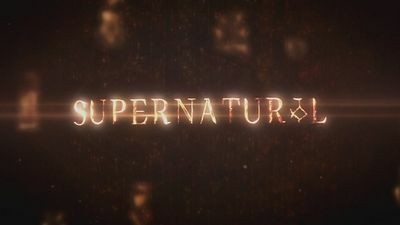 7 February: TV by the Numbers Supernatural upgraded to "certain to be renewed" by Bill Gorman at TV by the Numbers. "[I’d like to] make it a good, kinda wild western yarn and try to leave the angst behind," Singer said. "I mean, there’s always going to be angst on this show, but I think we’ve kinda wrung it out a lot this year. So we might lighten it up a tad next year." Singer also said "indications are that we will get picked up... we kind of leave options for ourselves [story-wise]. It would be nice if we heard sooner than later." 4 April 2012: It was announced that Jeremy Carver would replace Sera Gamble as showrunner. This obviosuly implies an eighth season for the show but there has as yet been no official confirmation..
3 May 2012: Season 8 confirmed by a press release from the CW. 17 May 2012: At the CW Upfronts in New York it was announced that Supernatural would move to Wednesday nights at 9pm after the new series "Arrow". The CW fall season will start in October for all shows, and there will be fewer breaks during the season. source. Jeremy Carver return to Supernatural as showrunner, following the departure of Sera Gamble. Bob Singer described the inspiration for Season 8 as "Raiders of the Lost Ark". Source. Pages in category "Season 8"
Media in category "Season 8"
The following 298 files are in this category, out of 298 total. This page was last edited on 1 February 2019, at 09:46.